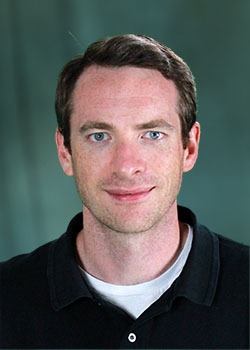 Dr. Douglas L. Stefanski is a computational engineer at the University of Tennessee Joint Institute for Computational Sciences (JICS) located at Oak Ridge National Laboratory (ORNL). Dr. Stefanski received his Ph.D. in Aerospace Engineering with a minor in Computational Engineering and Science from North Carolina State University in May of 2013. His graduate research work, carried out under Dr. Jack R. Edwards and Dr. Hong Luo, focused on the development of a regional structured and unstructured finite volume method for chemically reactive turbulent flows. He spent two years as an Air Force aero-propulsion analyst at Arnold Engineering Development Complex (AEDC), performing simulations of internal hypersonic propulsion flows in support of ground test operations. Dr. Stefanski’s current work includes turbulence transition modeling and complex chemically reactive flows.